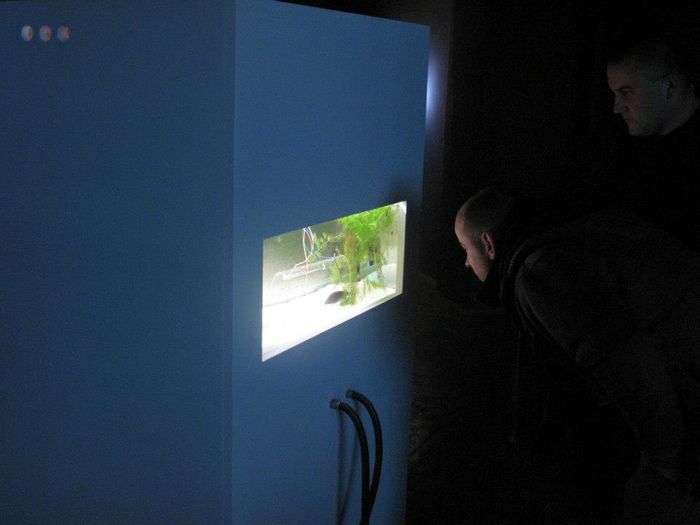 ENKI is a series of experiments in bio-interfacing between humans and certain types of Electrogenic Fish .. Ultimately this is achieved through psycho-acoustic audio and visual entrainment as a means of modulating human emotional state. During this process bio-electrical activity is monitored and used as a means to create a feedback loop between organisms. The research aims to study interaction between tiny bio-electrical fields of both species [human and fish] specifically the they way in which these fields modulate and the means of controlling them. It also aims to discover if it is possible to create a harmonious state of interaction that can be of benefit to both species, no matter how different. The ENKI project was developed through an Arts council, International Artists Fellowship, Pepiniere programme, Paris, with Centre National de la Recherche Scientifique (CNRS) France in 2006. Since then it has been continually developing. 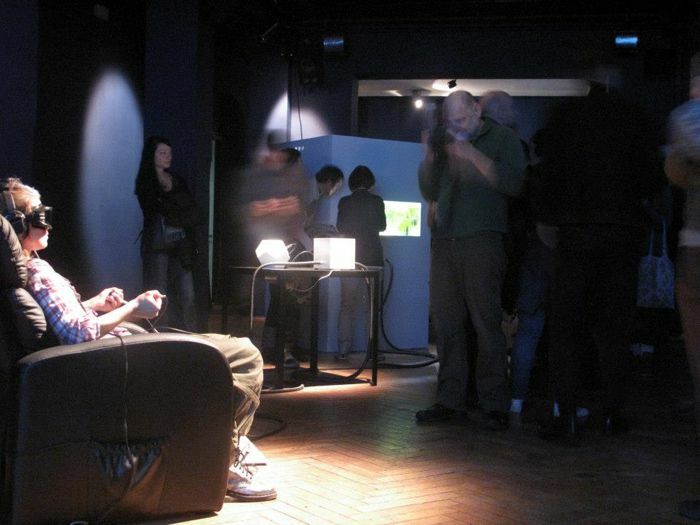 It has been shown in the UK Europe including, Dutch Electronic Arts Festival, NL, CAAC, Seville, Spain 2007. International Festival of Art /Science /New Technologies, Prague, the European Forum for Emerging Creation Luxembourg and Spectropia08, Riga, Latvia. 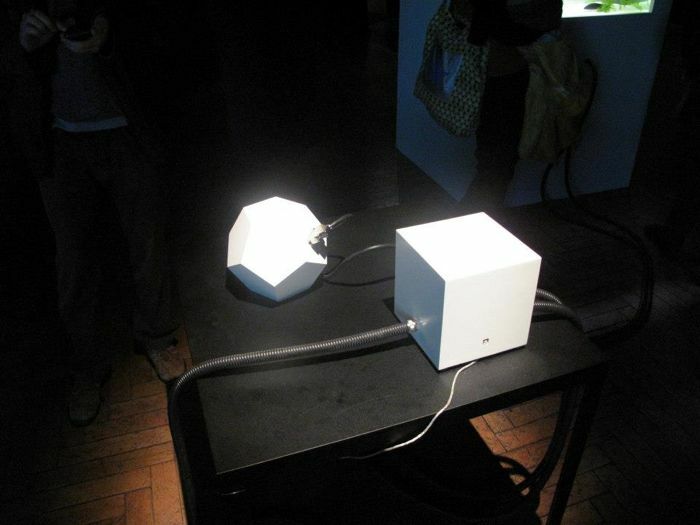 Most recently in 2009 'ENKI Experiment 3' was commissioned by Arts Catalyst for the show Interspecies.